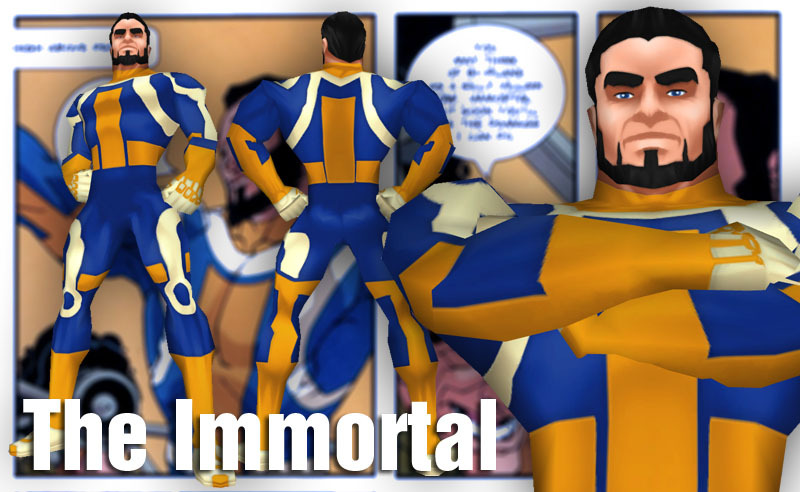 The Immortal has lived a life of rebirth and reinvention -- a life he can hardly remember. He recalls an accident long ago followed by years of wandering. He fought for a kings honor. He discovered new lands. He defended them, eventually ruled them, and defended them again. Until eventually defending them in another way entirely. I've got two skins ready for you today. It's only natural. You see, they're twins. 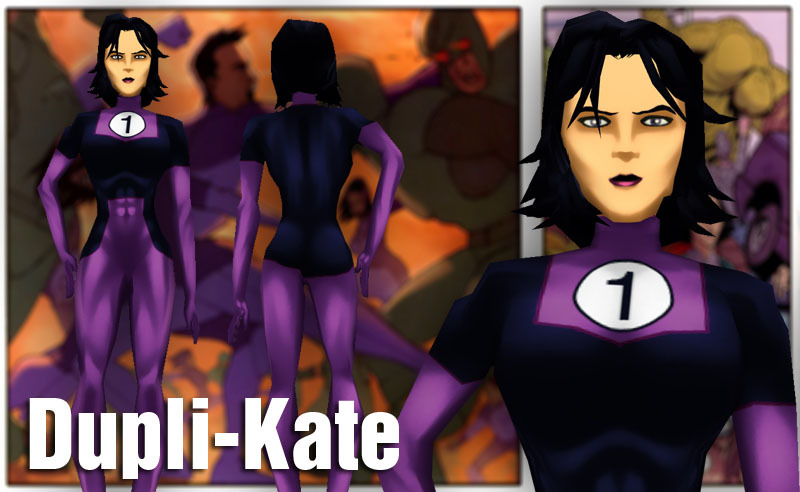 Super powered twins Dupli-Kate and Multi-Paul have the ability to instantly clone themselves. Their power is the result of an ancient Chinese curse by the Emperor against his usurper, the Warlord Fung Cha, moments before his death. The curse was: "The seventh generation after Cha's seventh grandchild would be burdened with a family too large to care for... and it would drive him mad." Sure enough centuries later Paul and Kate were born and kept duplicating until their father went mad, thus fulfilling the prophecy. Born a as a super intelligent but horrifically disfigured baby the man we call Robot was taken in by the state. He used his super intelligence to build a series of automatons that he would live his life through. As the heroic Robot he would lead the Teen Team and then the Global Guardians. Dissatisfied with his life by proxy, Robot cloned Rex-Splode and transfered his mind into the newer younger body. 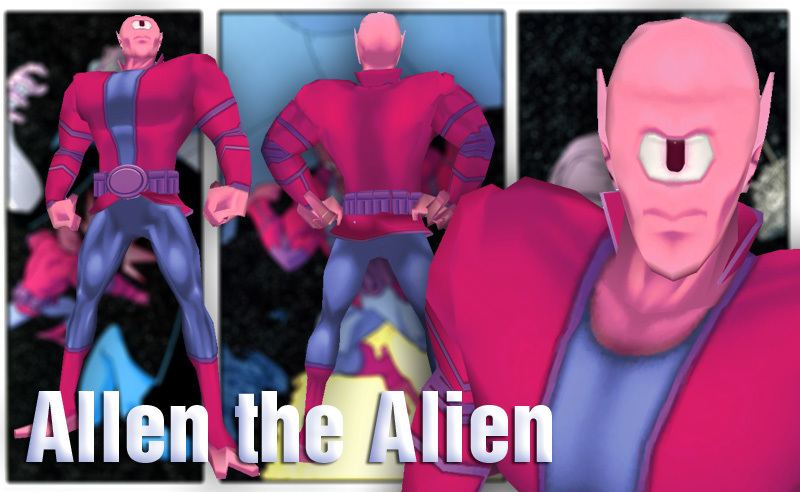 After the Viltrumites invaded his homeworld, Allen the Alien participated in a genetic experiment to find a champion who could defeat the viltrumites. In order to defeat an unstoppable foe his body was engineered to become stronger after each defeat. 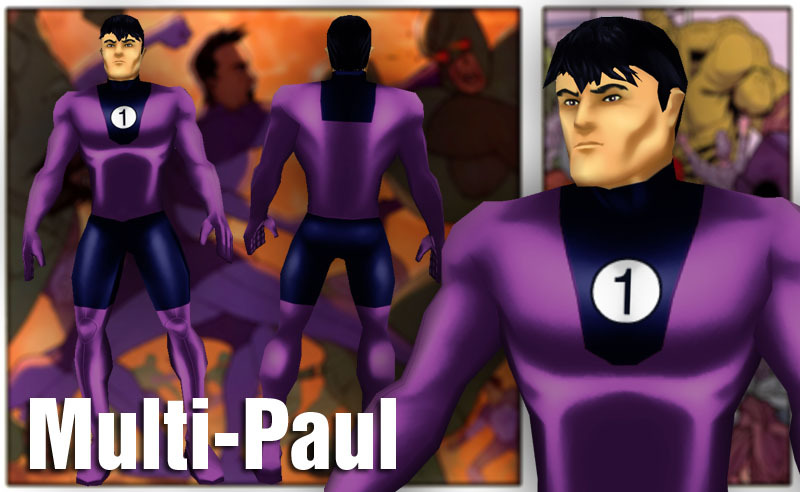 He is strong enough now to defeat Viltrumite and alongside the renegade Viltrumite known as Omni-Man he seeks to eradicate those who destroyed his world. 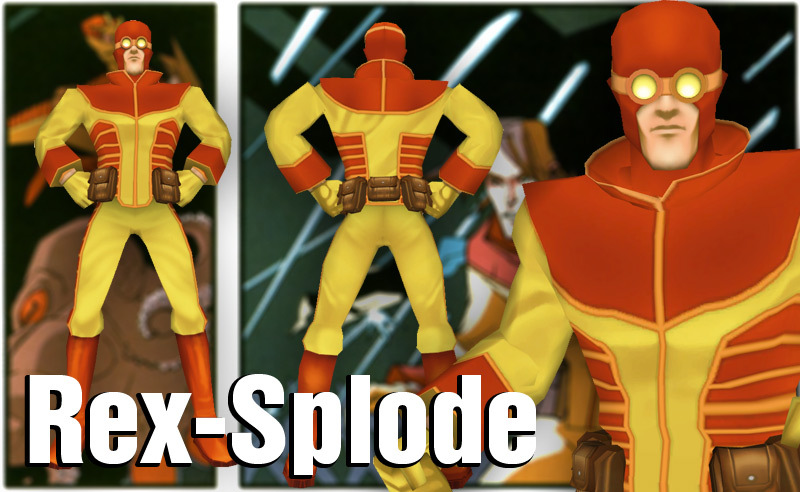 Rex-Splode had the ability to alter the chemical makeup of inorganic materials, causing them to become unstable and explode. He had limited invulnerability and slightly enhanced strength. After his hand was bitten off by a member of the Lizard League, Rex received an artificial hand that could fire projectiles that he could render explosive. He died saving the world from an Invincible from an alternate universe. I’m sorry for posting another Freedom Force skope. These aren’t even remotely interesting to you are they? Well I’m proud of my art! So back off theoretical reader! This mesh is meant for hexers and skopers. It's an alteration of Lord Ehmsidy's Crymsin mesh to have a bunch of different body variations including: female_big_chest_heels, female_pants_shirt, female_pants, female_small_chest, female_small_chest_heels, female_no_mouth, female_no_face_pants. 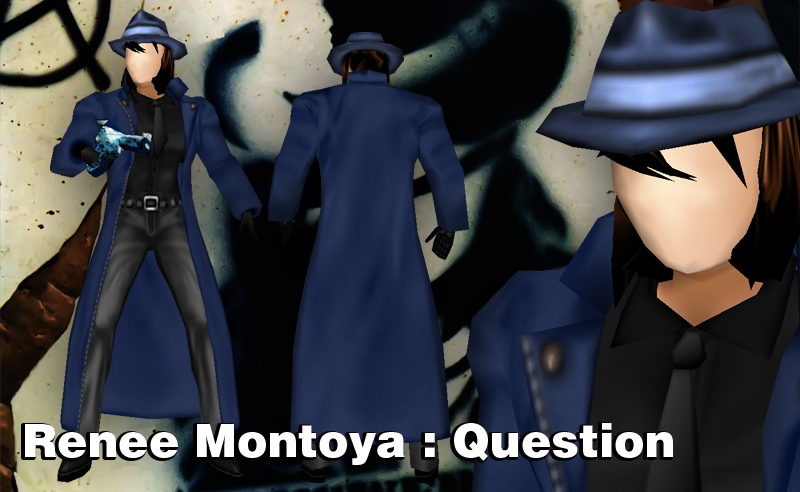 The mesh is male_basic keyframe compatible. 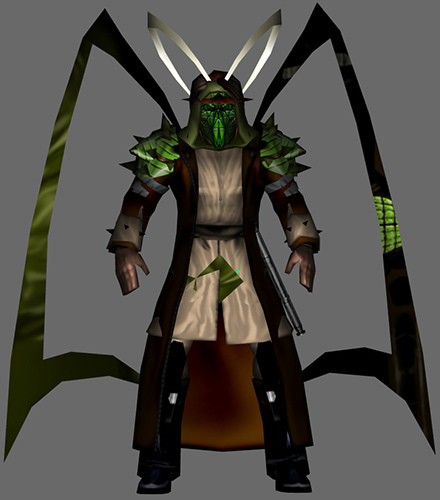 It can be easily skoped into place on other male meshes. The standard skin is based on matrix_female_vx and c6_female_muscular. Pick it up on my Freedom Force site. Read it in person here. 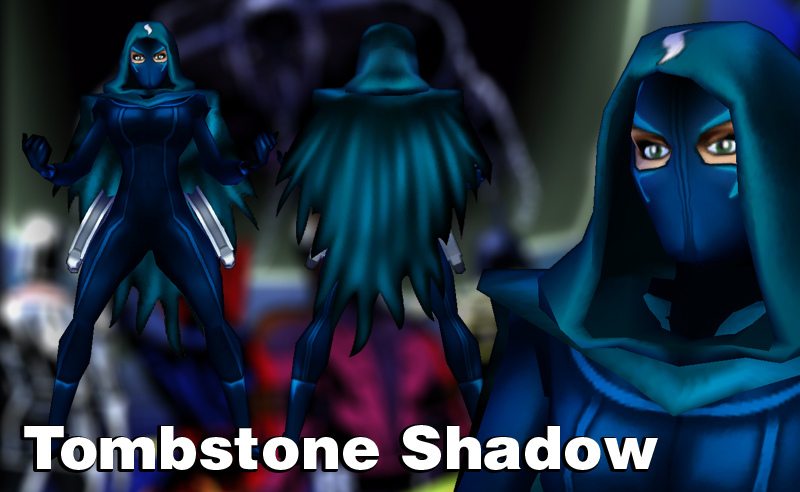 Based on a request from the always lovely Artemis, I've re-created Shadow with Tombstone's animations and guns. I re-skinned her to fit the new mesh. As the best best friend a person can have, I’ve been making wallpapers for Joanna’s LG Dare phone. I’ve been doing this for a long time now. Some are just resizes of pictures, and some I colored. The art is stolen from Kate Beaton, Natalie Dee, Nedroid, Dinosaur Comics, Daisy Owl, Homestar Runner, Penny Arcade, 8-Bit, Threadless, and FFFound. 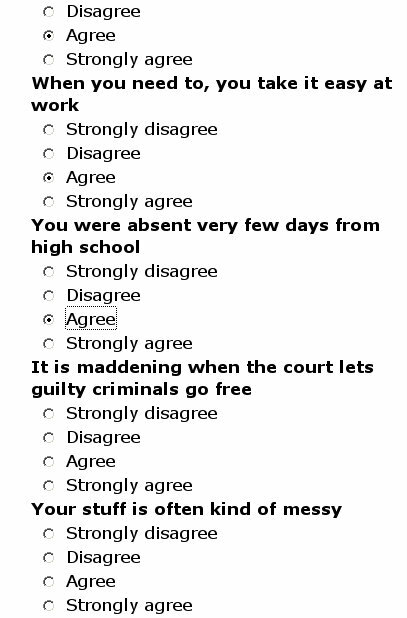 Why yes, I am the best friend anyone can have. It’s true. 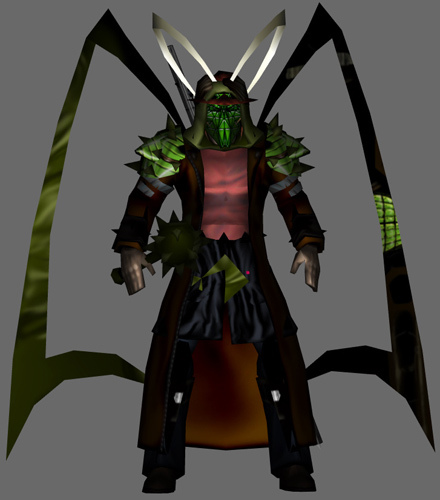 Versatile meshes aren't as popular these days and Irrational's male_trenchcoat has never been that popular. Sure, that much is true, but this mesh is special. How many meshes can dual weild tommy guns? That's right, just this guy. Oh yeah. Skope includes mesh and keyframes with credit given to original authors in the readme.txt file. Skin and mesh enhanced to work in Freedom Force vs The Third Reich. Skin released under the Creative Commons Attribution-Noncommercial-Share Alike license. I whipped up some FX to greater enhance your Dr McNinja experience in Freedom Force. 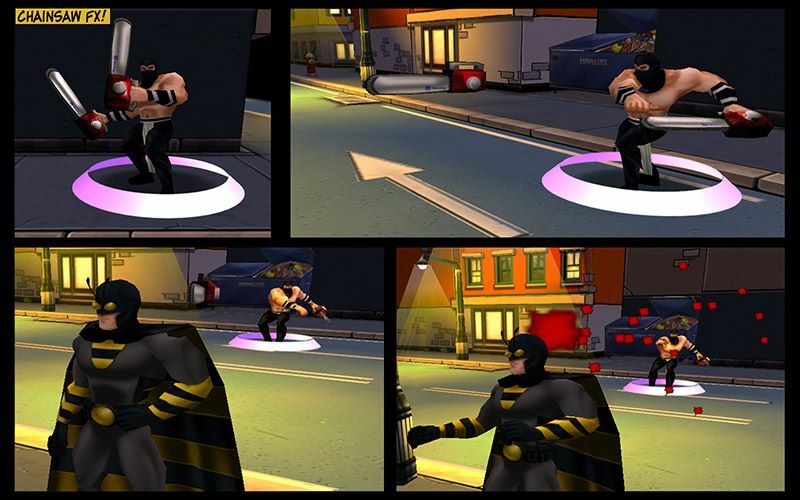 Mongo vs Bee-Man. 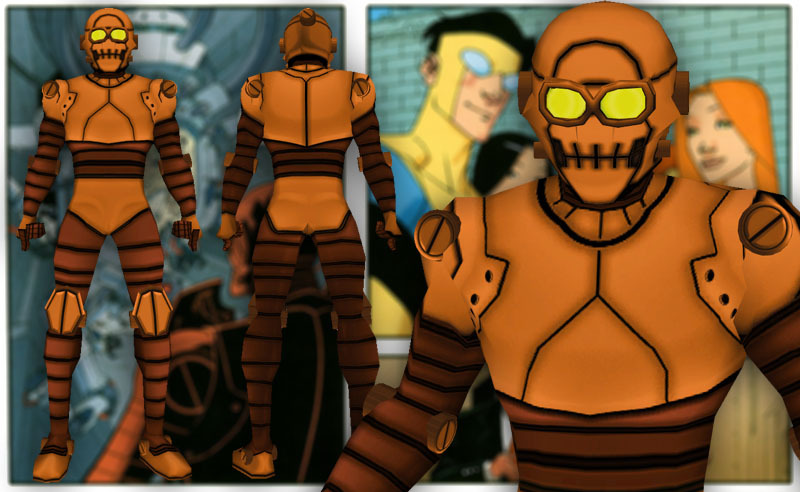 Look at Bee-Man in that picture, he's dead now. Dying is basically all he can do. Complete your Chainsaw Ninja with this in-game FX. He'll actually be able to throw a chainsaw. It may look like Bee-Man gets his revenge in that picture, but you know that being shot by a bee, even a big 'ol bee isn't as scary as a chainsaw attack. Make Bee-Man slightly more useful with this in-game FX. "Ewzzy was a bounty hunter in the depression era Midwest. A chase led him out west to California to find a target supposedly entangled in the arcane. He found his target and interrupted a ceremony that would have given the target power over death. Instead, Ewzzy found himself on the receiving end of the mystical power surge. The target escaped in the confusion and Ewzzy was granted phenomenal powers. 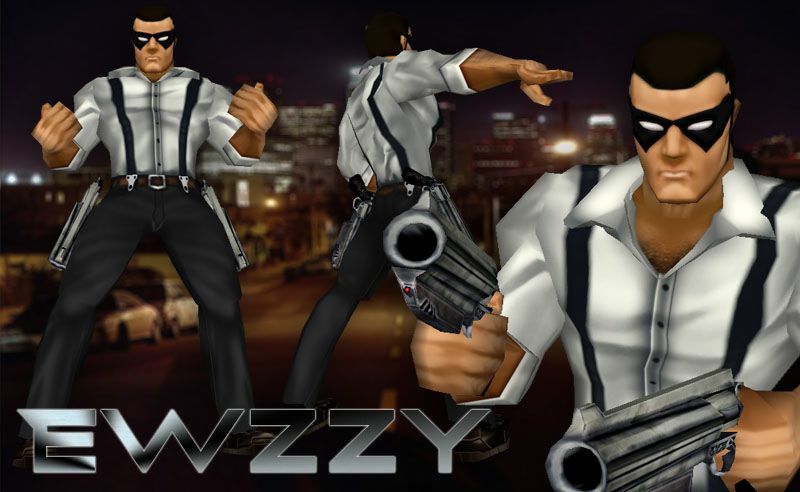 65 years later, still alive, his target long since passed, Ewzzy uses his power to fight evil on the streets of Los Angeles." As if I need to introduce you. I skinned this MJ variant while working on the Thriller version of Ben Franklin II. 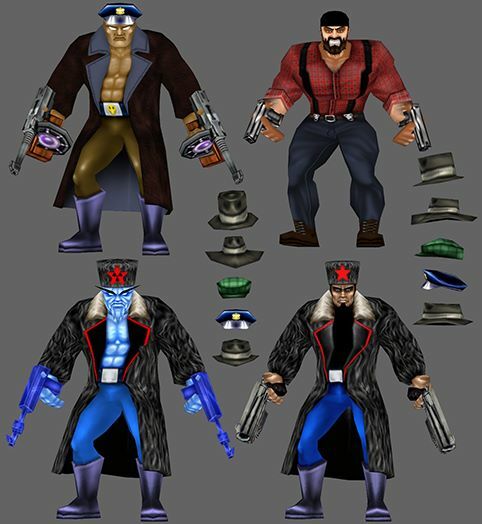 This skin is included with the Ben thriller pack so don't download it again if you already got it yesterday. 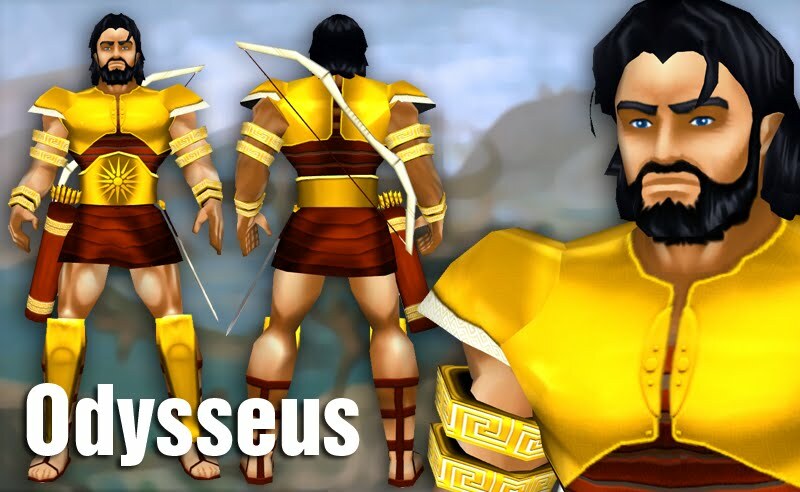 Skin includes mesh with credit given to original authors in the readme.txt file. Skin and mesh enhanced to work in Freedom Force vs The Third Reich. Skin released under the Creative Commons Attribution-Noncommercial-Share Alike license. 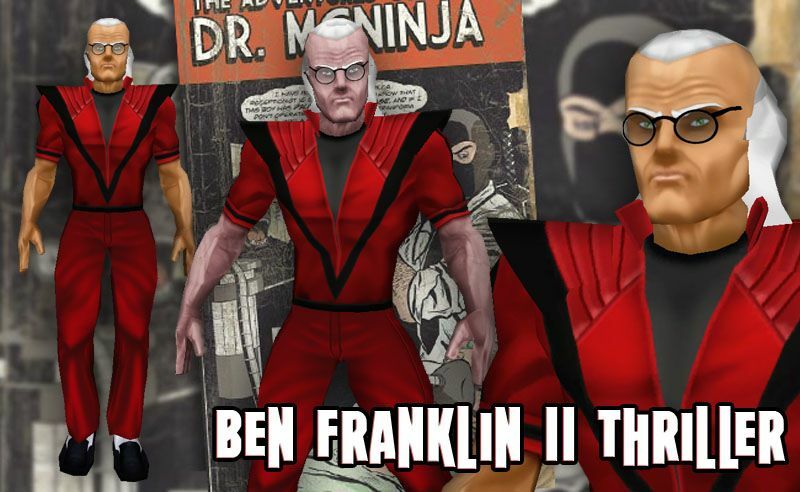 Benjamin Franklin II, clone of the original, taught Dr McNinja medicine. 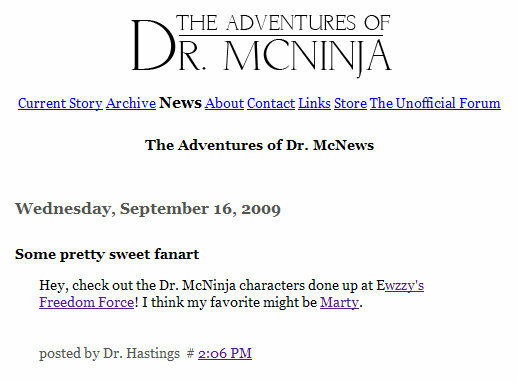 Dr McNinja once had a nightmare about a zombie version of his former master dressed as if he was in Thriller. 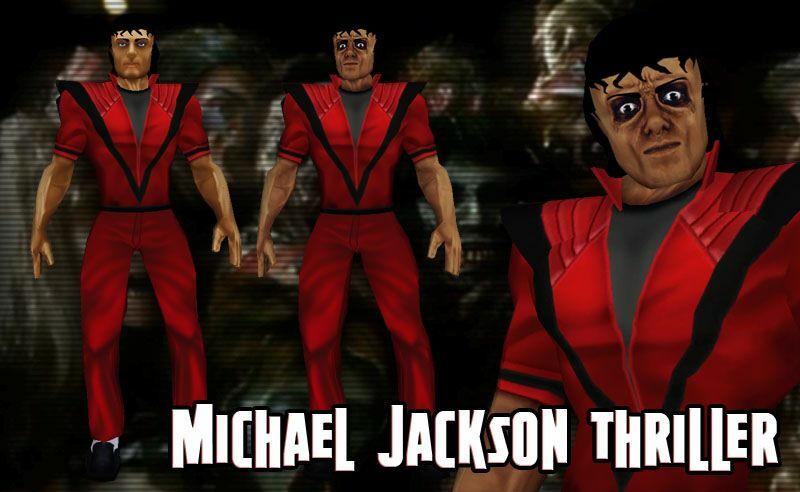 This pack contains DDS and TGA versions of Ben II, Ben II Zombified, Michael Jackson, and MJ Zombified.